1. What brings you to Cannes? 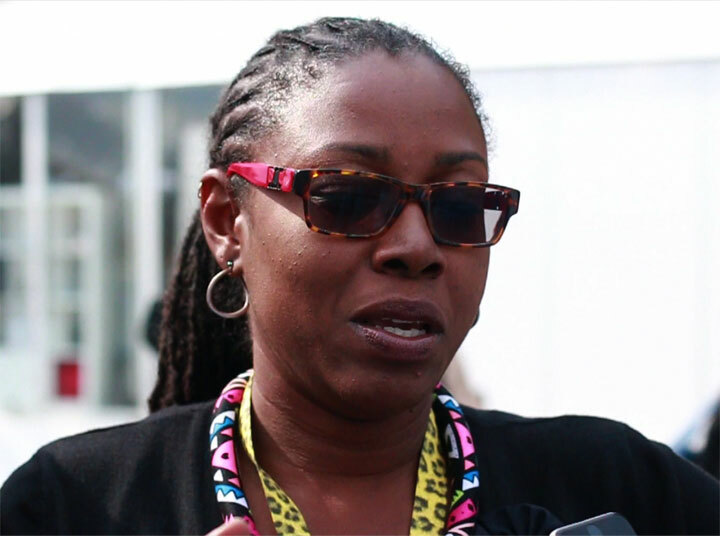 A: As the general manager of FilmTT and film commissioner of Trinidad and Tobago, I am in Cannes with three objectives: to promote Trinidad and Tobago as an attractive location for productions in the Caribbean (an idea made even more attractive by our competitive cash-back rebate), to find opportunities for T&T and, by extension, Caribbean film producers, and to continue to broaden and deepen Trinidad and Tobago’s critical network of international contacts and relationships. Overall, being here in Cannes, the most important film festival in the world, not only lets people we meet know that we exist, but that we mean to participate and compete in the international film and audio-visual industry. 2. What do you see to be the state of Caribbean Film? A: This is an exciting time in Caribbean film! Certainly the last three years have demonstrated that despite the challenges of indigenous film production, and the financial challenges that are facing the Caribbean, there have been a number of films released not only at the regional festivals, but our films are travelling. I know that my counterparts all over the region are working to develop their sectors based on their unique selling points; there is also desire and future intent to work together to see where collaboration as a Caribbean entity makes sense. For Trinidad and Tobago, we have the amazing example of the Machel-Montano-starrer Bazodee, which played in an unprecedented 120+ theatres in the US, and also has been playing to excited crowds in Toronto and all over the Caribbean. The film sold out local cinemas for several weeks. This demonstrates that there is indeed an audience for T & T and Caribbean films. We also have the examples of Maria Govan’s Play the Devil and Darisha Beresford’s The Cutlass, both T&T-set films that premiered and won awards at the trinidad and tobago film festival 2016 edition. Play the Devil had its international premiere in 2016 at the prestigious Los Angeles Film Festival, to excellent reviews, and has since played in many festivals in Europe, North America, India and the Caribbean. 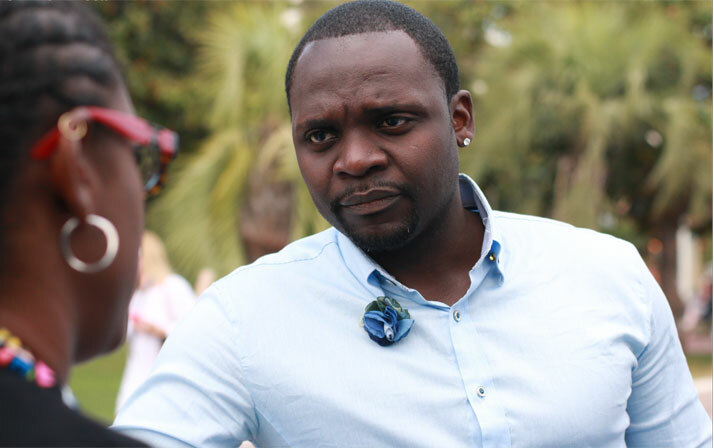 The Cutlass has not only found favour in regional film festivals, but has an international sales agent that took the film to the Cannes Film Market this year, a first for a T&T film. Further, we have two genre films that were released in T&T last year that are finding audiences: the sci fi film Tomb by Nicholas Attin, which had an arranged screening at Cannes this year (also a first for a T&T film), and Christopher Din Chong’s horror film Sanskara, coming out of a new studio that is focused on producing more work in the genre. In 2017, there are at least four T&T films set to premiere, at least three of which are focused on international premieres (Vashti Anderson’s Moko Jumbie is already confirmed for June’s LA Film Festival). Of course I must also mention Jamaican Storm Saulter’s Sprinter, a film that is being positioned to be an international hit when it releases later this year. Further to all of this, the discussions we have been having in the last several months regionally and internationally show increasing interest in the voices coming out of the Caribbean, and more and more of our contacts are interested in considering the right projects to take international. So the talent is there, the quality is getting better, the international and professional pitch of our film producers is becoming more sharpened. We are continuing to work to fill the gaps. 3. 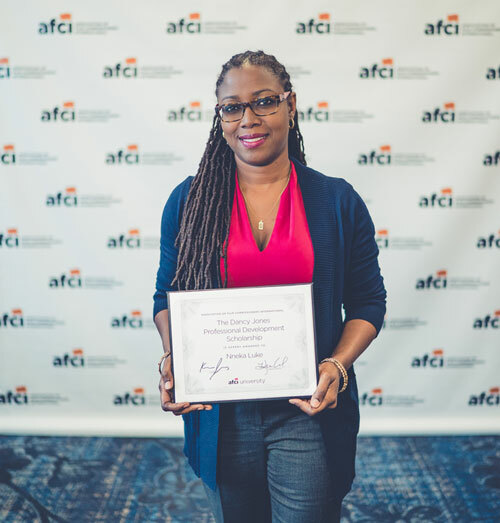 What is the State of the Caribbean Film Industry in Trinidad and Tobago? A: Apart from the content develop work described above in T&T, on the film commission side of our work, we have an aggressive rebate programme that gives local and international producers up to 35% cash back on qualifying services, and 20% for using local labour (find more information on this at www.filmtt.co.tt ). In Latin America and the Caribbean, we are listed second only to amazing Colombia (http://nofilmschool.com/2016/07/film-production-incentives-tax-incentives-movie-rebates ) As we work to develop our below the line capacity and the ability of ancillary companies to service local and incoming productions, we continue to position T&T as a unique space for shooting features, commercials and shorter form content in the Caribbean. 4. How is each film important to the film industry in Trinidad? A: What I can say is that the films released in the last two years, and the 4 set to be released this year, are all demonstrating not only the diversity of stories that our film producers want to tell, but that the skills of our film producers are increasing. FilmTT and by extension the Government of T&T, will continue to work to fill the gaps that exist on our value chain, with the overall goal of establishing a profitable and sustainable film and audio-visual industry for all stakeholders. 5. How is Trinidad working with other Caribbean Nations like The Dominican Republic? A: At the moment, we stay in touch and offer support to each other where possible. I would say there is desire to work together in the future, in a focused way and in the spaces where it makes sense to present ourselves as The Caribbean. 6. Netflix is the big topic this year at Cannes. What does "streaming cinema" say about the future and trajectory of Caribbean Film. A: T&T and the Caribbean are in the unique position of being able to consider all the options now available for distribution and exhibition, and tailor the development of our industries accordingly. Obviously theatrical releases are important, but it is not the only option, and since we do have a strong cinema going culture, the sweet spot would be a healthy combination of a theatrical and online release strategy. What Netflix is demonstrating, through their complete disruption of the industry, is that new forms of consuming and engaging cinema are possible, and that is exciting for an industry like our in development.